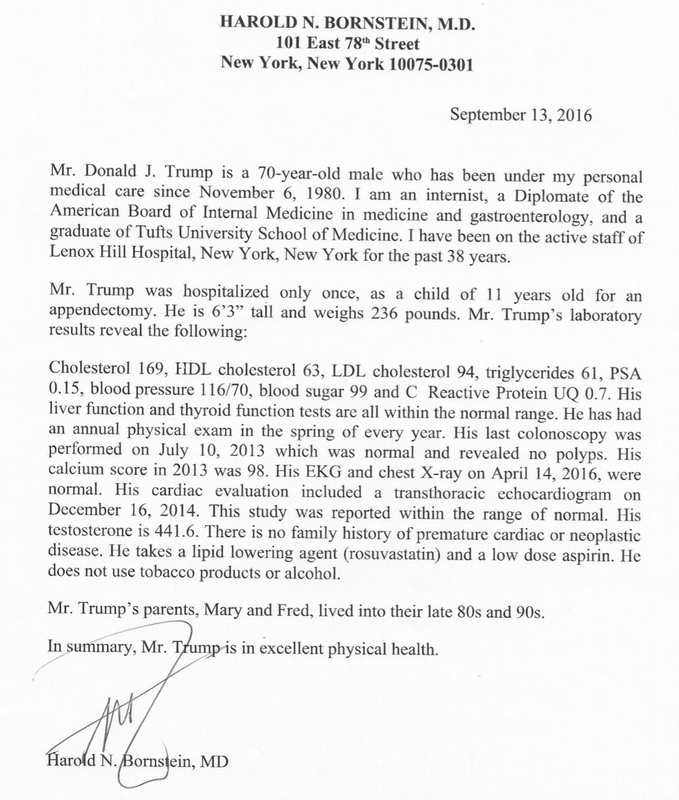 Donald Trump recently appeared on the Dr. Oz show and handed a letter to the celebrity medical charlatan and TV host, Mehmet Oz. Regular readers of the skeptical cardiologist should be familiar with the coronary calcium scan or score (CAC) by now. I’ve written about it a lot (here, here, and here) and use it frequently in my patients, advocating its use to help better assess certain patient’s risk of sudden death and heart attacks. Image from a patient with a large amount of calcium in the widowmaker or LAD coronary artery (LAD CA). 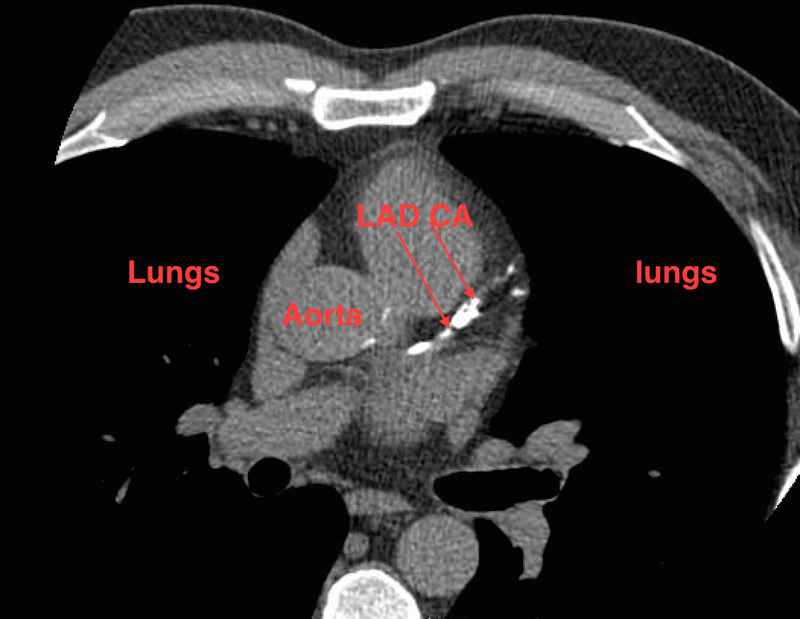 The CAC scan utilizes computed tomography (CT) X-rays, without the need for intravenous contrast, to generate a three-dimensional picture of the heart. Because calcium is very apparent on CT scans, and because we can visualize the arteries on the surface of the heart that supply blood to the heart (the coronary arteries), the CAC scan can detect and quantify calcium in the coronary arteries with great accuracy and reproducibility. Calcium only develops in the coronary arteries when there is atherosclerotic plaque. The more plaque in the arteries, the more calcium. Thus, the more calcium, the more plaque and the greater the risk of heart attack and death from heart attack. What Does Donald’s Trump’s Calcium Score Tell Us About His Risk Of A Major Cardiac Event? We know that, on average, even if you take a statin drug (Trump is taking rosuvastatin or Crestor), the calcium score goes up at least 10% per year which means that 3 years after that 98 score we would predict Trump’s calcium score to be around 120. Based on large, observational studies of asymptomatic patients, Calcium scores of 101 to 400 put a patient in the moderately high risk category for cardiovascular events. Since we know that Hillary Clinton recently had a calcium scan with a score of zero, we can estimate that Trump’s risk of having a heart attack or dying from a cardiac event is markedly higher than Clinton’s. Clinton, born October 26, 1947 is 68 years old and we can enter her calcium score into the MESA calcium calculator to see how she compares to other women her age. A coronary calcium score of 6 is at the 50th percentile for this group. Interestingly, Trump’s score of 98 at age 67 years was exactly at the 50th percentile. In other words half of all white men age 67 years are below 98 and half are above 98, creeping into the moderately high risk category. So, based on his coronary calcium score from 2013, Donald Trump has a moderate build up of atherosclerotic plaque in his coronary arteries and is at a seven-fold higher risk of a cardiac event compared to Hilary Clinton. Let the law suits and tweets begin! Can The Apple Watch Or Kardia ECG Monitor Detect Heart Attacks? Is It Time To Stop Eating Deadly Eggs Or Time To Stop Putting Nutritional Epidemiology In The Headlines? Are You Doing Enough Push Ups To Save Your Life? They Said What? This blog by Al Lewis takes apart with humor the “Wellness Ignorati”, those who believe in prodding, prying and poking employees to allegedly improve their health. Skeptical Medicine This outstanding website comes from John Byrne, MD. It has a wealth of really well-written and well-researched articles and touches on critical thinking in medicine, logical fallacies, statistics, alternative medicine, pseudoscience, and quackery. Excellent Review of Dr. Oz Summarizes how Dr. Oz has gone from respectable physician to snake oil promoter. The reasons for this transformation are unclear but I advise my patients to ignore anything he says at this point. Naturopathy and Dubious Compounding Pharacies: A Deadly Combination A good article from science-based medicine on the quackery that is naturopathy. How Much Does or Should An Echocardiogram Cost? Atrial Fibrillation: How Many Times Can You Shock The Heart?